If you were born in this country, there’s a good chance you’ve never seen this document, nor experienced the incredible, almost overwhelming flood of relief and gratitude that it brings to its recipient. 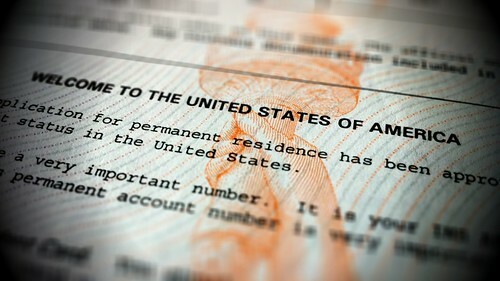 The USCIS (US Citizenship and Immigration Service) calls this document the welcome notice - it’s a letter informing the applicant that form I-485 - application to adjust to permanent resident status - has been approved. I got mine years ago, but I’ll never forget how I felt when I opened it. Anyway, it seemed like an appropriate image to post on or around the 4th of July.